Club Nintendo rewards, in Europe particularly, aren't updated particularly regularly. When something new arrives, as a result, street parties are held, firework displays are common and gamers are merry. Well, OK, that doesn't happen, but considering that some of the existing rewards in Europe are DSi kits and old-fashioned Nintendo Points cards, surprise at something new is understandable. And yet, pictured above, we have Pikmin keyrings, which may be the most adorable house key accessories we've ever seen. 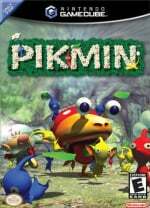 And even though the actual Pikmin are plastic, we like to think that a blow on a whistle will prompt the little creatures to carry our keys to us. That's how it'll work in our dreams. In any case, they're nice new rewards, and can be picked up by Club Nintendo Europe members for 1700 stars each. Awesome! I just got them both. It's great to see some non-Mario stuff at last. We need more of it. I spent my stars on that Mario statue and that 3DS game case last week. So I can't afford these sadly! I am jealous. What the heck NOA!!!! The supplied the catalogue with 4 categories and still only one is updated. Europe gets pikmin dolls and keychains while we in NA get nothing pikmin related...can't really hate sense we get elite rewards. I'll save my stars, I wasn't overly impressed with the pre-order bonus keyring with the flying pikmin, and these look about the same quality. All I'm waiting for is 3DS eshop cards instead of old Nintendo Point cards ! Europe?! 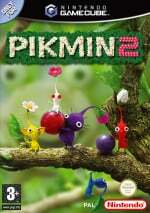 Atleast I got my Pikmin platinum reward poster ordered. @Undead_terror When did we get dolls? 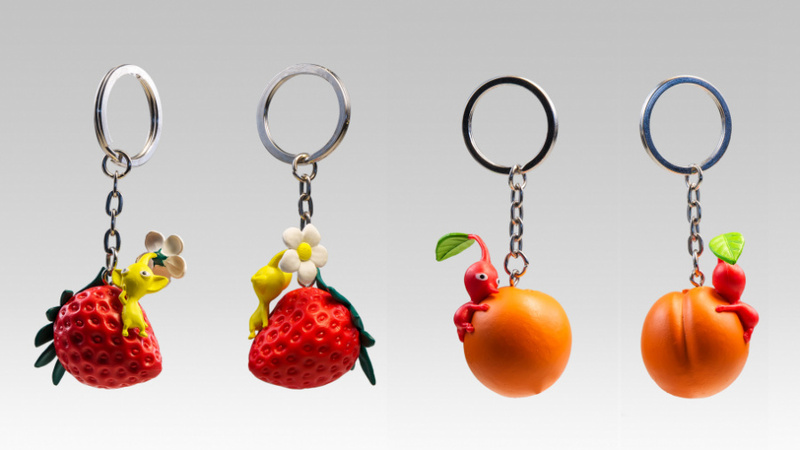 Does anyone know whether we'll be getting keyrings of the other Pikmin types? 1700 points for little keyrings... No thanks. (As much as I like collecting keyrings). Decrease them to maybe 500 then we'll talk. I'd much more recommend the 3DS game case for 1250 points (Got mine this morning), at least its beneficial to you for owning. Wish North America's Club Nintendo got this.... It would be pretty cool. @LAA So the case is good quality then, because I want to order one waited to see how many stars Pikmin key-rings would be little to pricy for what they are. I'd rather have PIkmmin keyrings here in NA than posters and DS card cases. @Katzii I was only able to get the blue Pikmin plush. I got 16000 points time to use them I guess. Was well annoyed my 2 year old melted my snes club Nintendo joypad the other day. Better to buy them off eBay and save the points for something more substantial and exclusive. If you think your catalogue is bad, don't go looking at Australia's catalogue. @element187 Seriously, I'm not interested in anything on our rewards site. Oh well, patience is a virtue... they say. They look nice. Would get them if they arrive to NA. Once again AU misses out, at least we got the game early. Unfortunately, our North American elite rewards aren't as cool as this. 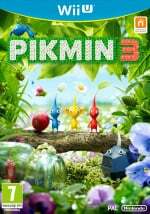 I want to know why NOA decided that Pikmin 3 was the game where they would be completely outdone by other regions when it came to release and promotion. Europe got the plushies, a discount, a wonderful 101 promotion, and got it over a week before USA. Normally it's the other way around, but I just want to know why NOA are putting so little effort into promoting this. I've put my Club Nintendo Pikmin pluche on display again since Pikmin 3, and just ordered these two. I had so many stars I 'bought' the G&W replica and G&W collection for DS. Still had plenty! Thanks for telling us, since they update so rarely that I check like once every couple of months... These look GORGEOUS! Ugh, NoA has really been failing in the extra rewards (for CN or otherwise) department lately. 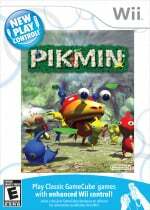 I mean come on, the only Pikmin related item we've got is a tiny poster. also, the amount of new stuff for NOA is really seldom unless it is a "limited time offer"
This is why I should check it more often! Got all excited until I got to the word "Europe"
How often do we Europeans get stuff quicker than America and also how much stuff do we get from Club Nintendo, our service get 3-4 items every 2-3 months most of which are just game holders or screen savers. @Yellowgerbil Yup, one keyring hardly makes up for decades of poor PAL ports.. I know you guys in Europe very often get the short end of the stick, but sometimes it seems like what little you get is THE ONLY STUFF I WANT. This is literally the only physical Club Nintendo reward I would actually want. And all the recent deals ("So Many Games," etc.) are the only deals I'm really interested in! What's the deal??? I was in the process of selling uo my US 3DS for a UK XL, that is until I realised the trade off that i'd be making between the UK and US Club Nintendo benefits.. The difference is really quite alarming! 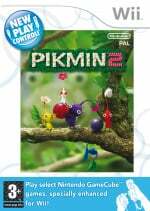 @Katzii A week or two ago CN of Europe got 3 different pikmin dolls, red, yellow, blue, it's not there now because they must of sold out. Club NOA hasn't given us anything new in a long time. I have almost 1800 coins wtf? "When something new arrives, as a result, street parties are held, firework displays are common and gamers are merry." This needs to happen. wtf NoA? Could we get anything this good? Just ordered them both. Thanks for the heads up Nintendo life. Don`t worry NoA mine will both be on ebay soon for you to buy. What?! Why aren't these in the states as well? Just checked NA Club Nintendo and we get a Pikman tote bag. I ordered mine! @edcomics So painfully ignorant... You get Mario, Zelda, Metroid, Star Fox, F-Zero and Smash Bros as rewards, while the only game we Europeans have is a Game&Watch Collection for the DS and buying a Wii U only grants you a fifth of the required points. I'm not complaining about the European line-up, just ...please conduct some research next time before complaining about missing out on a keychain. @NFeZ That was unnecessarily aggressive. I'm talking about tangible rewards — specifically comparing this year's Elite Status gifts (a 3-poster set or a Majora's Mask OST) to this cute item that I could attach my car keys to and enjoy everywhere I go. @edcomics I apologize. I have nothing to say in my defense (or offense).